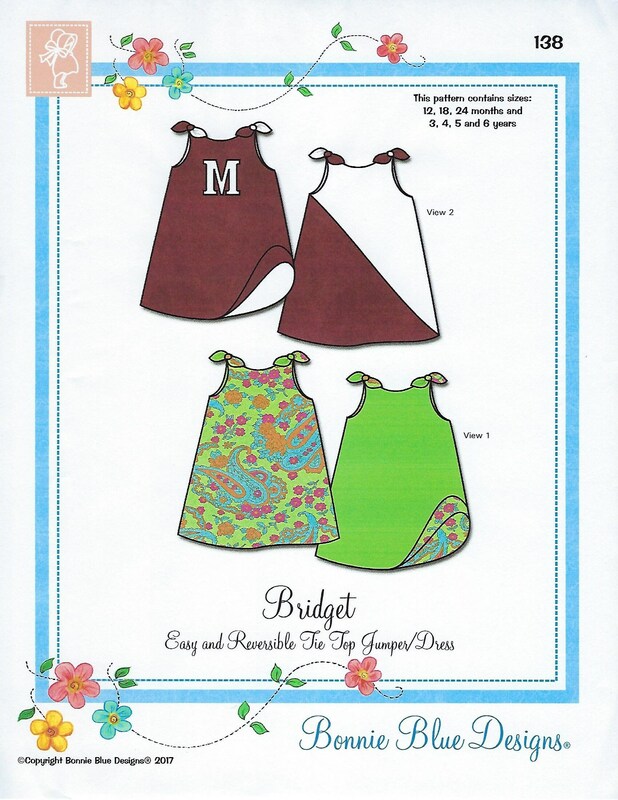 Package includes patterns and instructions to make Easy and Reversible Tie Top Jumper/Dress. A quick change Team Spirt Dress or a Fun and Easy Beach Dress with Tied Shoulders. No buttons or buttonholes. No plackets or gathers. A great first project for a beginner a super quick project for more experienced sewers. 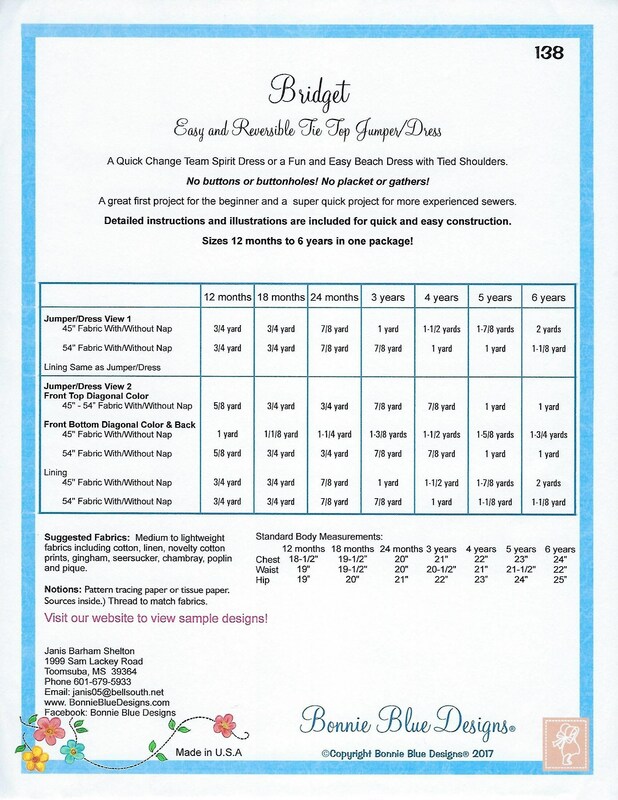 12 mo, 18 mo, 24 mo, 3 yr, 4 yr, 5 yr, 6 yr - All sizes included in one envelope.